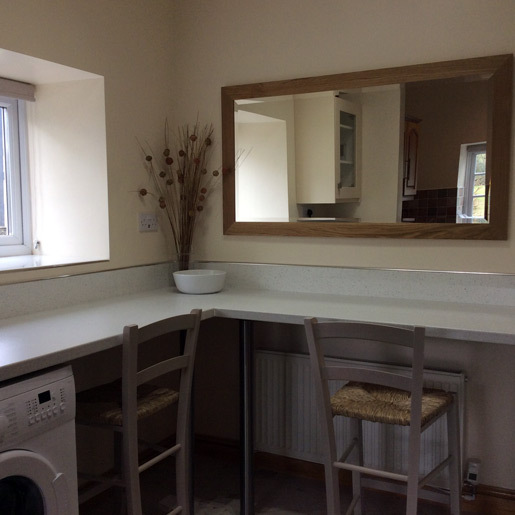 This self -contained one bedroom cottage, extensively refurbished in 2016, has an open plan kitchen, dining and sitting area on the ground floor. 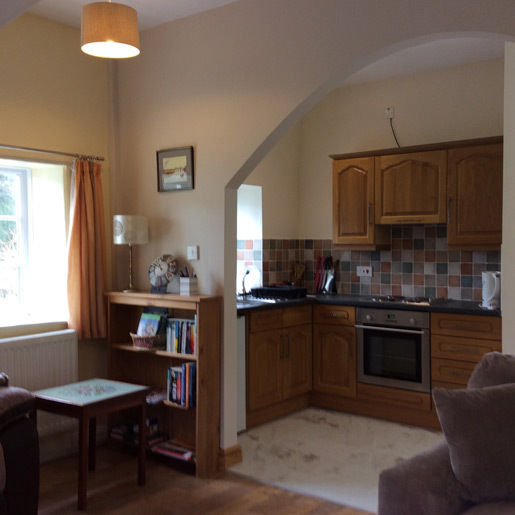 There is a fully fitted kitchen with oven, microwave, fridge and washing machine. 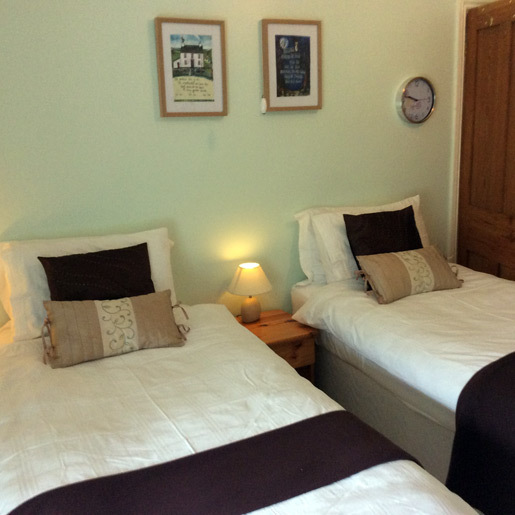 Two comfy settees, along with a flat-screen TV and a good choice of books and DVD’s ensures that if the weather is inclement you can snuggle down and relax in the evenings. 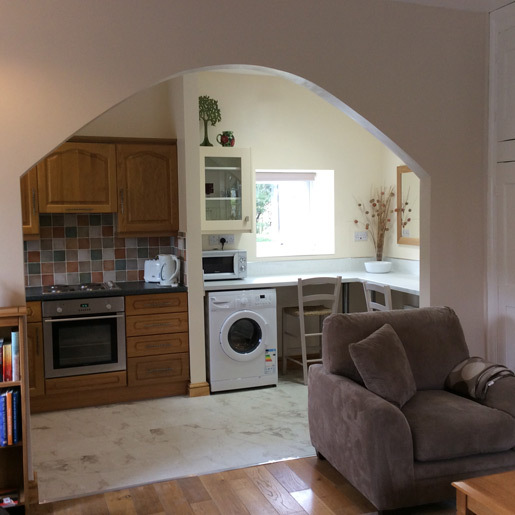 We have tried to provide everything you will need during your stay in the cottage. Bed linen, towels and tea towels are provided, along with washing up liquid, washing powder and fabric conditioner, cling film and foil. 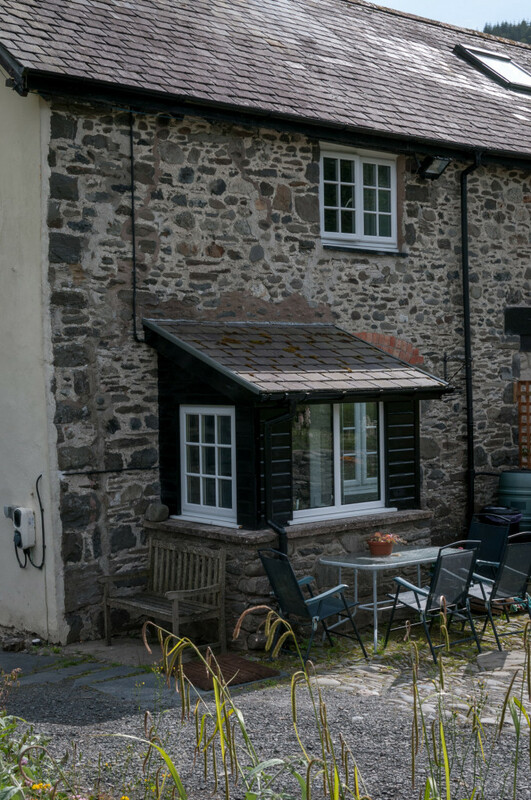 A selection of Welsh sourced tea, coffee and hot chocolate are provided with a welcome tray of homemade cake and a jug of fresh milk. When available we leave some fresh eggs from our hens for guests to use. Extra eggs and homemade jam can be purchased during your stay. Our large barn can be used to store bicycles, fishing gear etc. 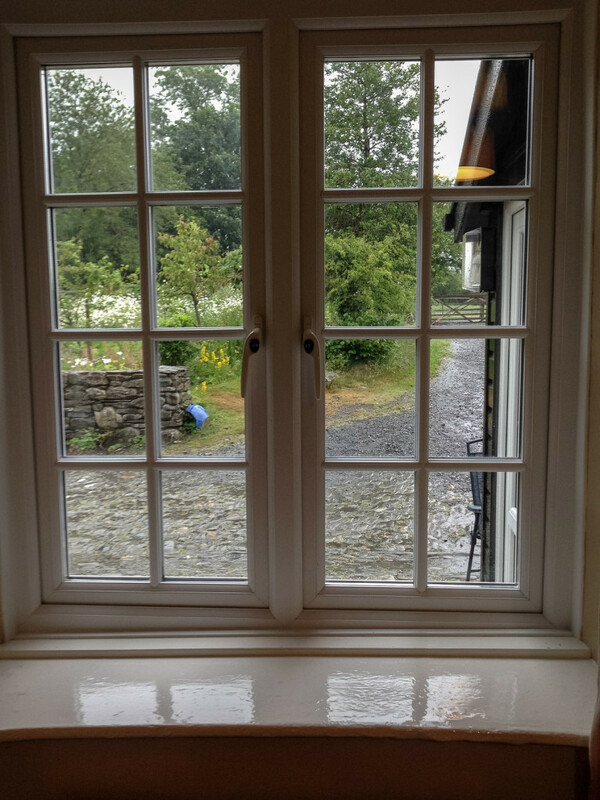 The porch on the cottage is ideal for leaving muddy boots. 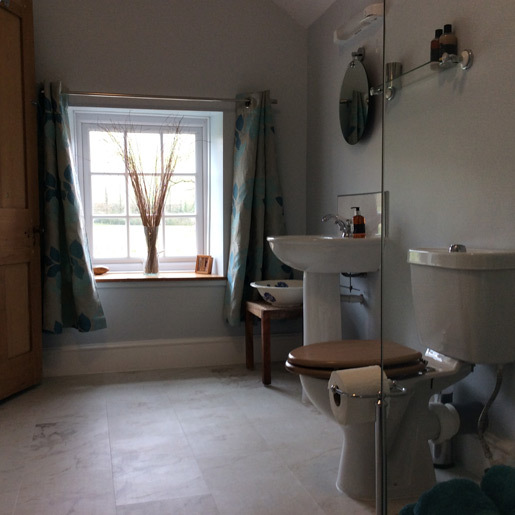 Upstairs there is a large newly fitted bathroom with a walk-in shower, washbasin, toilet and heated towel rail. 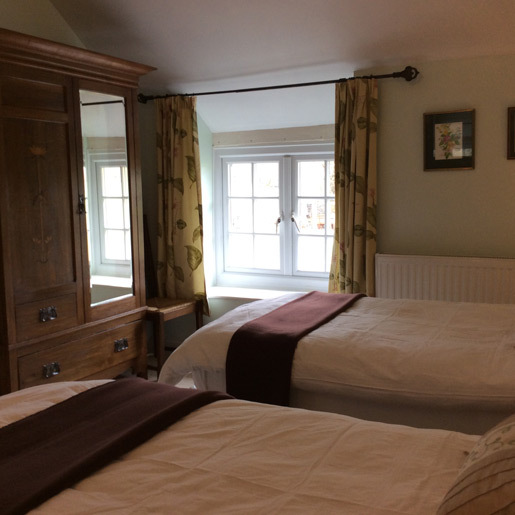 The good sized bedroom can be made up as super-king or twin and overlooks the cottage garden. 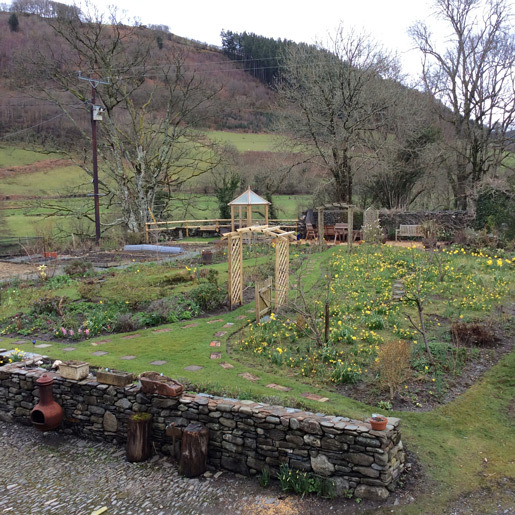 Guests are free to make use of our garden that overlooks the River Dyfi and is surrounded by hills and trees. There are a number of seating areas where guests can enjoy the peace and tranquillity of the Dyfi Valley. We grow a range of fruit and vegetables and have planted wildlife-friendly flowers and shrubs. Guests are welcome to pick fruit, vegetables and herbs as available. Our pretty cottage garden has a small pond and new to 2018 are beehives. We hope to have our own honey next year. There are plans to install a polytunnel so that we can have more vegetables throughout the year. The garden is planted with bee-friendly plants and we welcome a diverse range of pollinating insects and birds. In 2016 and 2017 we opened our gardens under the National Garden Scheme. We had two really lovely days and raised a significant amount of money for NGS charities. We are having a year off while we make more changes to the garden. See our Facebook page for details later. 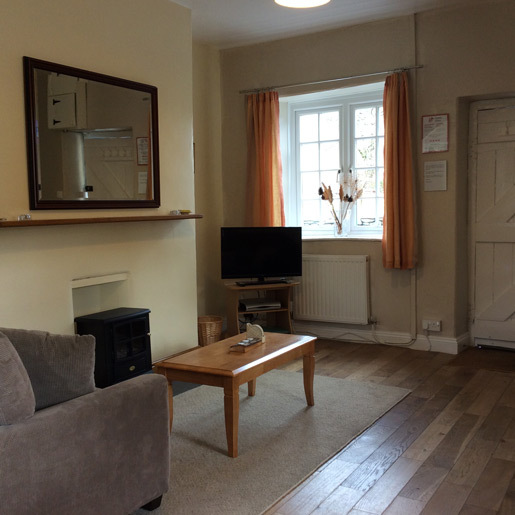 The Old Coach House is a strictly non-smoking property and we regret that we are unable to accept pets. Guests are respectfully reminded that departure time of the morning of departure is 10.30am. 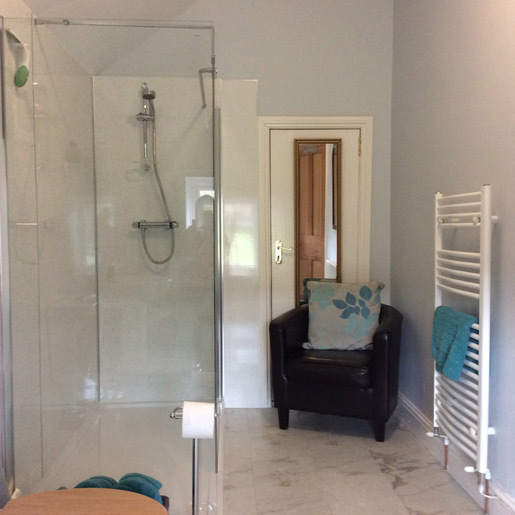 To arrange a booking please see our Availability & Prices pages.